Superb Condition c.1940s Shops Glass Sweet Jar. Chrome lid...no damage at all. Mint Condition. 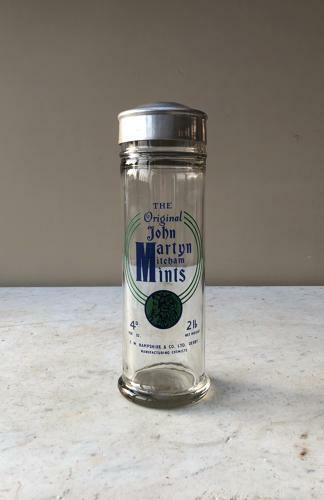 THE Original John Martyn Mitcham Mints. 4D Per Oz. 2 LB Net Weight. F. W. Hampshire & Co Ltd. Derby. Manufacturing Chemists.